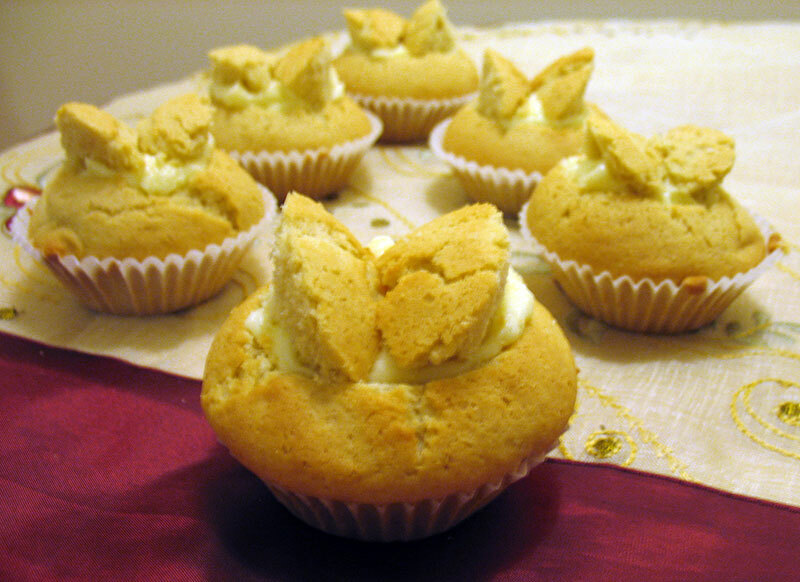 I used this recipe for butterfly cakes because it used plain rather than self raising flour. I had no SR in the house. They are pretty, and oh so cute. I’ll give you that, and these are easily one of the best looking cakes I have ever made. The other half loved them, and so did my work colleagues. But did they change my mind? Unfortunately not. The filling just didn’t do it for me, it’s just too sugary even when I cut the amount of sugar. The cakes were wonderful though, so I am going to pick the frosting out of my next one and replace with fresh fruit (or jam) and whipped cream. Heaven. Any suggestions for future fillings? Any kindred spirits? Or am I the only person that dislikes buttercream?